We appreciate your feedback about your support experience with WooCommerce, developers of Shipment Tracking. This helps us maintain high standards on the WooMarketplace, and helps WooCommerce improve. 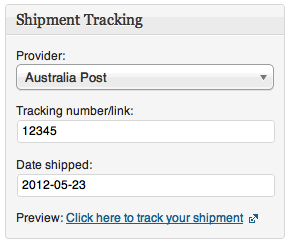 With the Shipment Tracking extension you can provide customers with an easy way to track their shipments.